What happens when two deadly predators face off? A new video, captured by a wildlife photographer, provides a nonlethal answer: The video shows a wolf approaching a lynx mom and her kittens in the snowy reaches of the Carpathian Mountains in Poland. After a tense staring contest and a quick chase, the wolf backs away. Zenek Wojtas, the wildlife photographer who caught the rare encounter, viewed the exchange as a friendly overture from one top predator to another. "This encounter is unique as it gives us an insight into the harmony that exists in nature, where predators can live in the same habitat without harming each other," Wojtas said in a statement. "As the wolf slowly walked toward the female lynx, she arched her back to protect her kittens, as all mothers would do. It was not a fight, the wolf only wanted to play." Eurasian gray wolves (Canis lupus) once roamed throughout Europe, and were once loathed by humans for preying on livestock and farm animals. They have long captured the popular imagination, depicted as villains in some of the most popular fairy tales and systematically hunted beginning in the Middle Ages. Some countries even offered hunters bounties for wolf carcasses, according to the International Wolf Center, an advocacy group that aims to improve the survival of wolf populations around the world. By the end of World War II, wolves had become extinct in almost all of Europe, though small pockets of the animals remained in Russia, Central and Eastern Europe, and bits of France and Italy. However, the creatures were protected by laws set out in the European Union Nature Directives in 1992, and since then the population has rebounded. There are now currently about 1,000 gray wolves in Poland, according to the World Wildlife Fund for Nature (WWF). The Eurasian lynx (Lynx lynx) has also experienced its share of troubles, with the species nearly dying out in some parts of Europe. 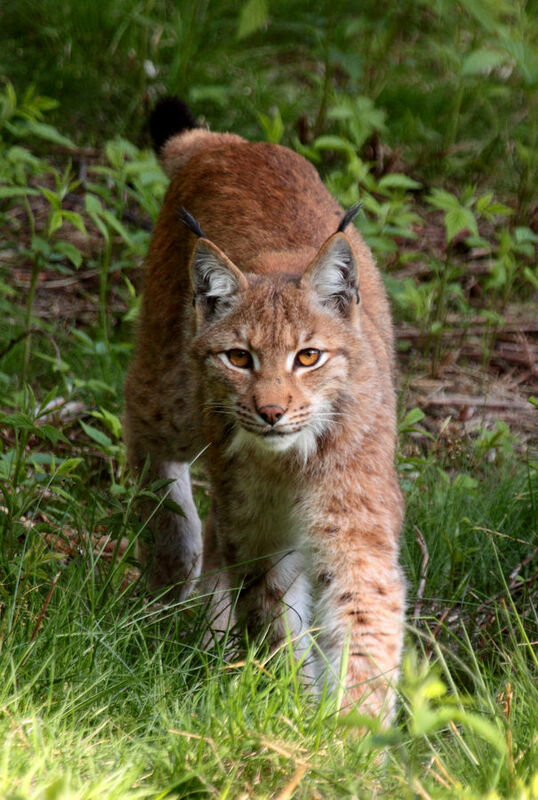 For instance, hunting and habitat loss have dramatically reduced the lynx population in Poland, reducing it to 200. In an effort to stem this loss, WWF has reintroduced the stately cats into Poland. Both creatures are also keystone species. By preying on large herbivores and other animals such as wild boars, they can prevent overgrazing, according to the WWF. The new video was released as part of the WWF's campaign to prevent the weakening of laws that protect the creatures and their habitat. 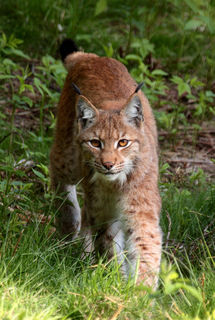 "The return of these powerful and splendid animals in Europe is an enormous success after years of conservation effort. We cannot run the risk to lose them again; they are fundamental species to keep our natural ecosystem in balance," Andreas BaumÃ¼ller, head of Natural Resources at WWF European Policy Office, said in the statement. The green belt that stretches from the Carpathian Mountains to the Danube basin hosts two-thirds of Europe's bear, wolf and lynx populations, according to the WWF. A recent report by the organization found that natural resource exploration, agriculture and industrialization were threatening some of these wild spaces.